1. Bring water to a boil in a large skillet. Once boiling, cook edamame for 2-4 minutes, until tender but not mushy. Drain, rinse and set aside. 2. 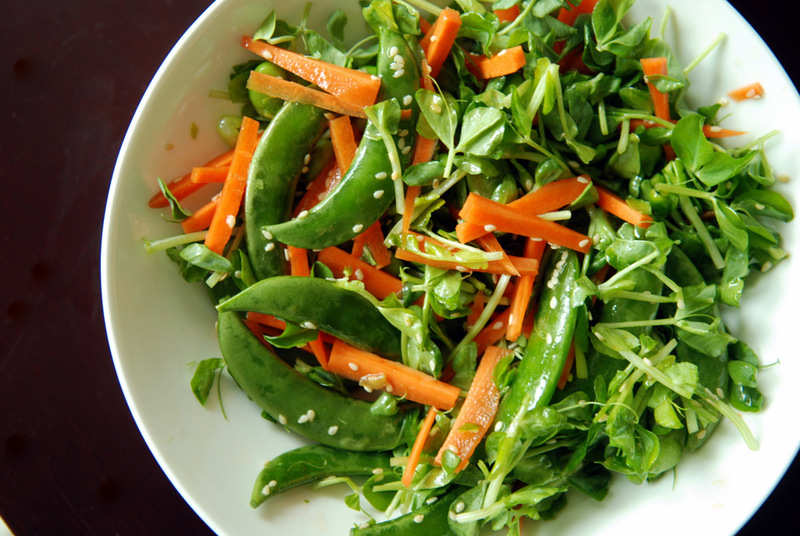 Add trimmed sugar snap peas and carrot to edamame. 3. Create the dressing: Mix together the rice vinegar, toasted sesame oil, agave nectar, sesame seeds and soy sauce. 4. Prior to serving, mix in the pea shoots with the vegetables and toss with the dressing. Serve immediately. I can definitely taste spring from the photo, it looks delicious and so colourful and pretty as always. I really hope that I fine pea shoots at the farmer’s market this weekend! I’ve been loving seeing just how you use them, and this salad looks truly delicious! Something I definitely need to try! I love pea shoots, but usually have them cooked. This looks fresh and fantastic! 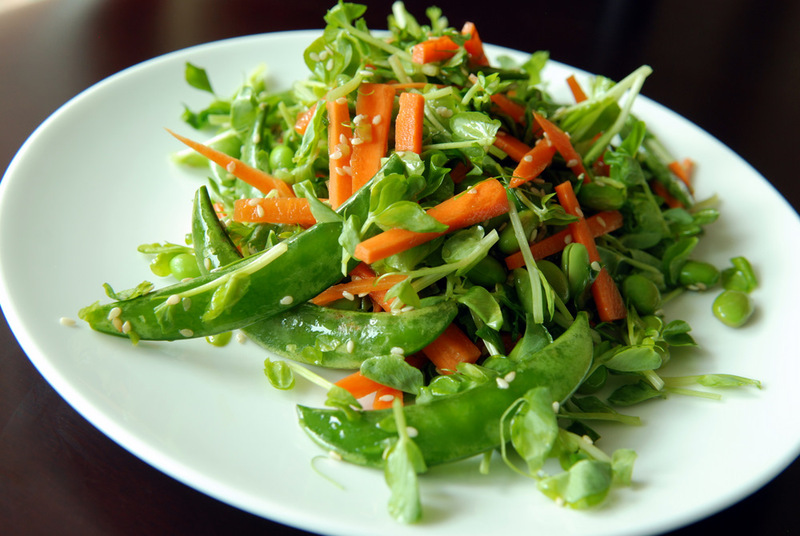 I love pea shoots and this salad looks so healthy and tasty. I know I will love this salad. You had me at pea shoots. This is so gorgeous. Bring on spring! Umm Janet I think you totally created this salad for me! Everything about it sounds extremely perfect and delicious.